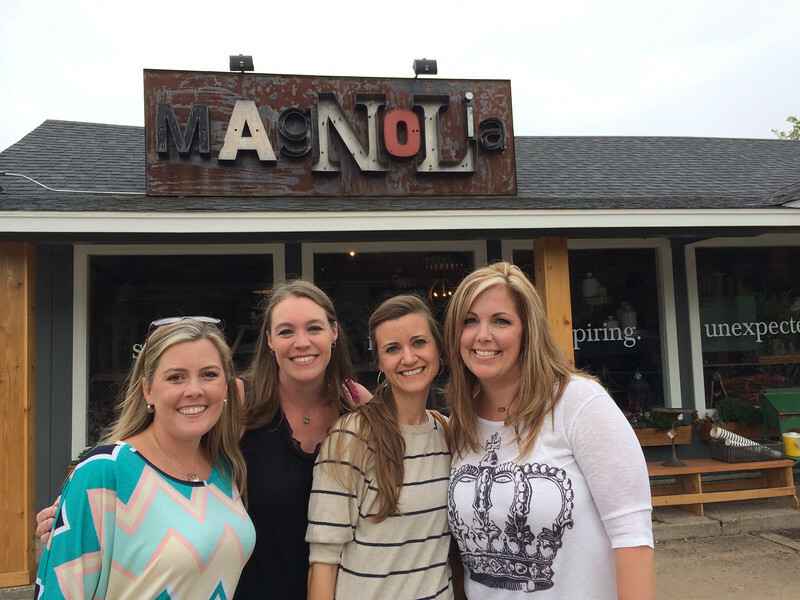 Something else that fell through the bloggy cracks last year was our girlfriend weekend getaway in September to Waco. Our annual trips are something we look forward to every year and each one holds special memories for us. We were missing Robyn and Lyndsey this year though, so it wasn't quite the same as some of our past trips (insert sad emoji). We are also truly thankful for our hubbys' taking over with the kids for a few days so we can have our girl time together. 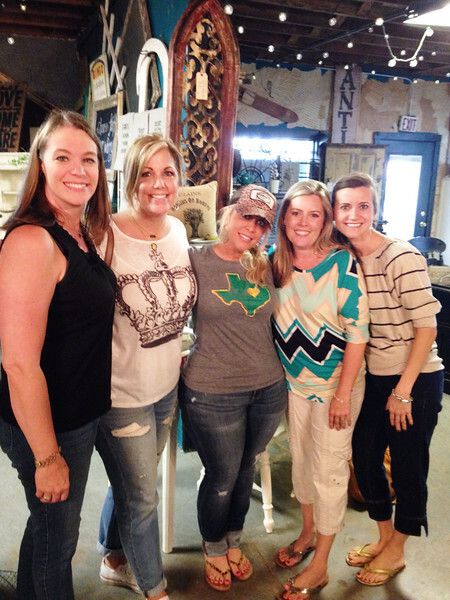 Since we had all fallen in red hot love with Fixer Upper over the spring and summer we decided Waco would be the perfect spot for our 2014 trip. Chip and Joanna Gaines are not only adorable and fun, they are crazy talented. 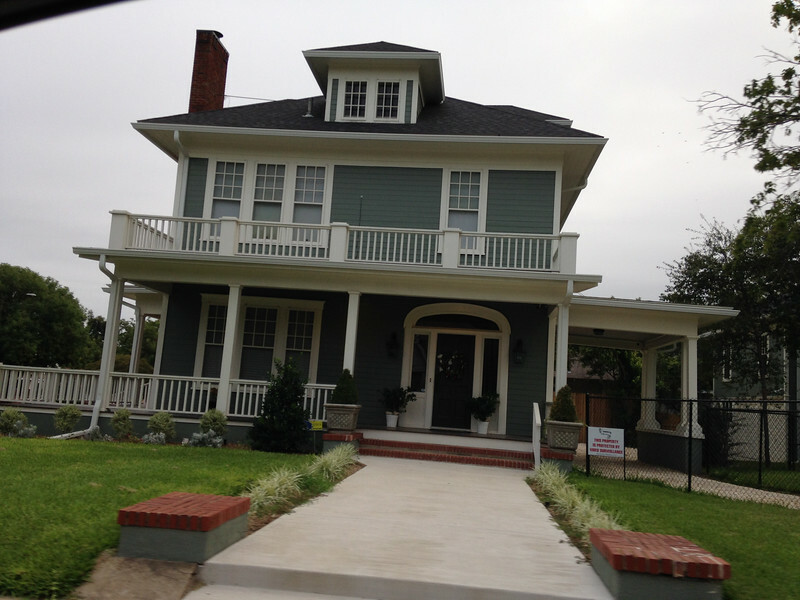 Every home they renovated during Season 1 made us drool, plus we adored Joanna's style, both decorative and personal. Fans. Huge, huge fans. Is what I'm saying. These first photos are a little out of chronological order, which kills me, but I know y'all would want to see these right away. The guest house we rented was on the same highway as Chip and Joanna's farm, actually only a little ways down the road. So of course we had to honk as we drove by. And stop for a ditch selfie. Yep, that's their adorable farmhouse, like, right there. Even though their gate was open, we exercised restraint and did not go up and knock on their door. That would be rude. And way stalkerish. Although we reeeeeeally wanted to. We stayed in this darling little house, which was perfect. 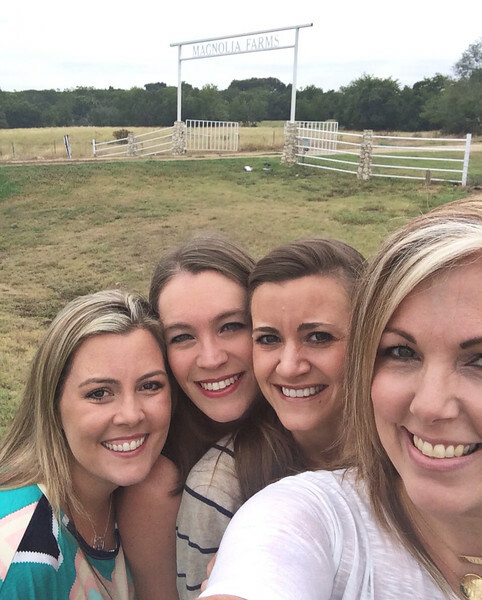 We drove around outside of Crawford and searched for George W.'s ranch. Crawford is t-tiny, now I understand why the locals would always shake their heads when reporters would say the President is at his ranch in Crawford, because, that's just not possible. It's like way out in the boonies somewhere and we only glimpsed the roofline from a great distance and through many trees. 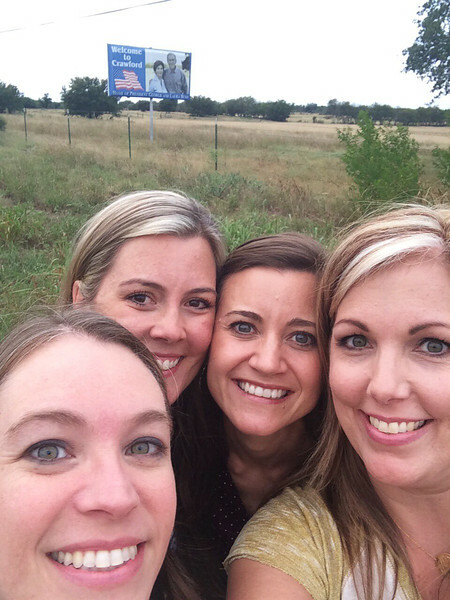 But we took a selfie by the billboard just the same (billboard is not near the ranch, fyi). 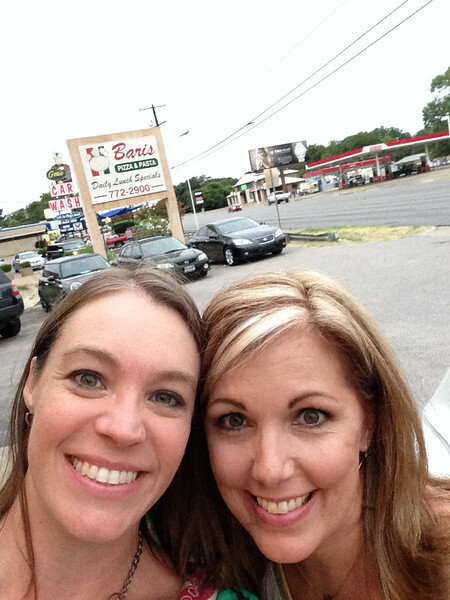 Other than stalker driving, both of the former President and Fixer Upper houses, we mostly ate, talked, laughed, shopped, ate more, drank coffee, giggled more and talked until the wee hours. 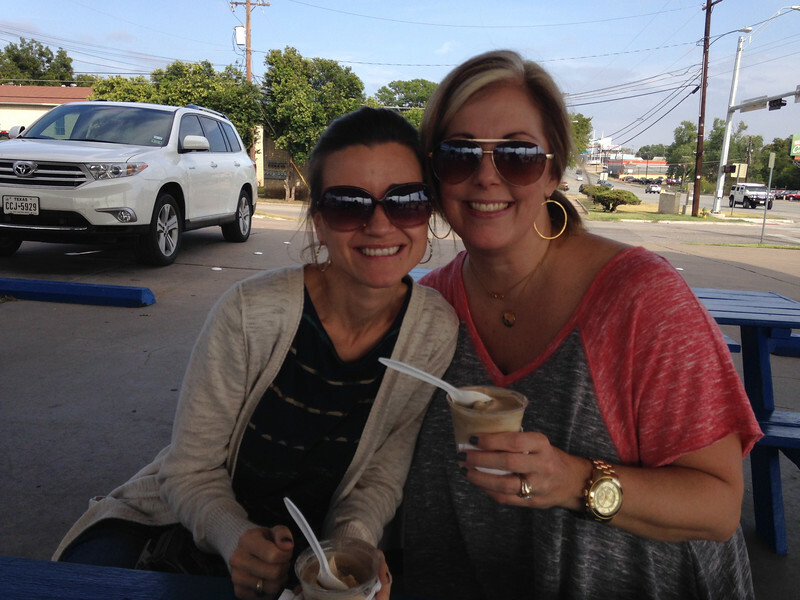 A sweet young friend from church that graduated from Baylor gave us a list of all the cool haunts and must-eat places in Waco so we dutifully checked out at many as we could. 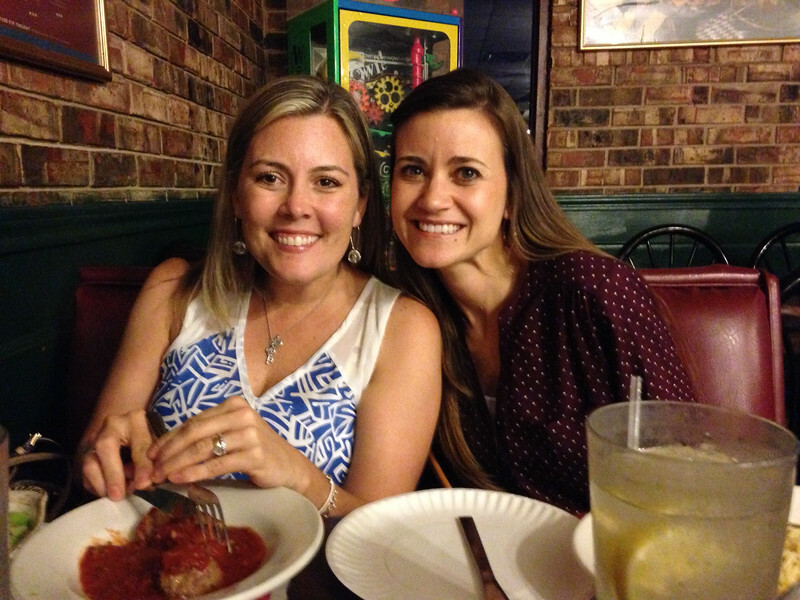 Friday night we ate at Baris, an Italian place, that was yummy. We felt super though old because we sat next to a huge table of 20-somethings cute college girls eating salads. Oh well, pass the bread and pasta, please. By the time we all got up, filled up on coffee and breakfast casserole (thanks Lacie for feeding us! 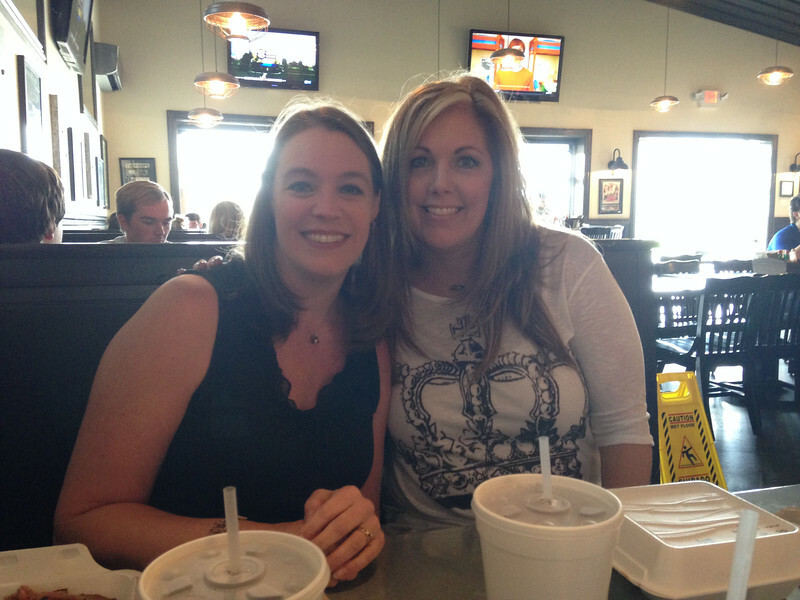 ), chatted the morning away and finally got ourselves presentable it was time for lunch. 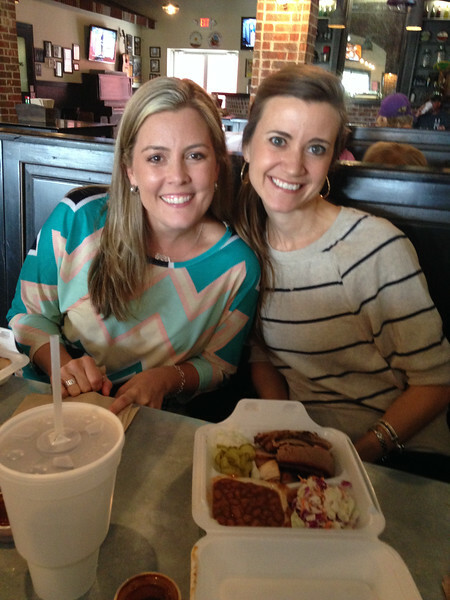 We soon found ourselves at Vitek's BBQ, which was dee-lish (although we said no to the famous GutPaks, whatever they are--kind of a bbq frito pie thing). After lunch we made a beeline over here. Joanna's shop is precious (of course), but quite small and crowded. We oohed and ahhed over lots of things but I refrained from buying anything. I know! Don't get me wrong, I liked a lot of things but felt like if I bought one thing the flood gates would open and I'd go broke. Next we went to Junque in the Trunk, which if you are a faithful viewer and are caught up on Season 2, you'll recognize Emily and her shop from the second or third episode (Joanna bought a turquoise dresser I think). Her shop is way more my style, repurposed antiques & flea market finds. Emily (in trucker hat) is Heather's cousin (what?!) and is a hoot, and of course knows Joanna, so in true Six Degrees of Kevin Bacon Joanna Gaines fashion it's like we're all BFFs. We stayed there quite a while, browsing and chatting and enjoying the classic country playing. I bought a few wire baskets, a cute glass jar trio, a candle and wait for it...a trucker hat. I know! We then went to another place which was like a huge warehouse with tons of different booths set up selling clothes, jewelry, decor and such. After all that shopping we were ready for some coffee so we drove over near the Baylor campus and went to Common Grounds coffee house, which is apparently the hottest coffee shop hang out in Waco, at least if you are under 22. We felt frumpy and old again. But we all got Cowboy Coffees (I got mine iced) and Kim got a hot chocolate, and it was perfection. Sidenote: If you saw Episode One of Season 2 they did a house for the hipster owners of Common Grounds. Again, following my Six Degrees of Joanna Gaines logic, since we got coffee there, it's like we're even better BFFs. We then spent the next few hours (at least until it started getting dark) sipping our Cowboy Coffees and driving around looking for Fixer Upper homes. 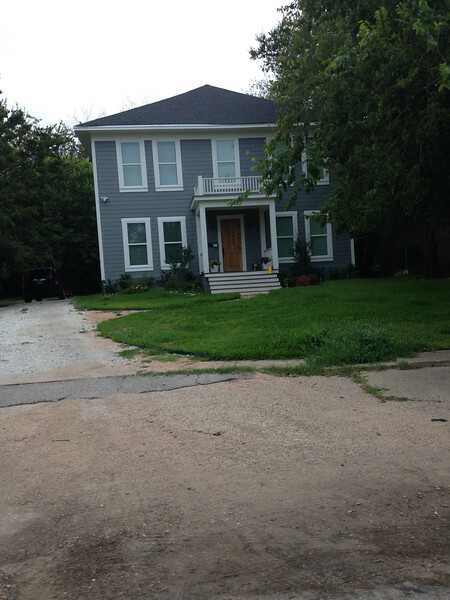 This was the home they did for their carpenter, Clint and his wife that looked like a run down crack house and now looks like this. 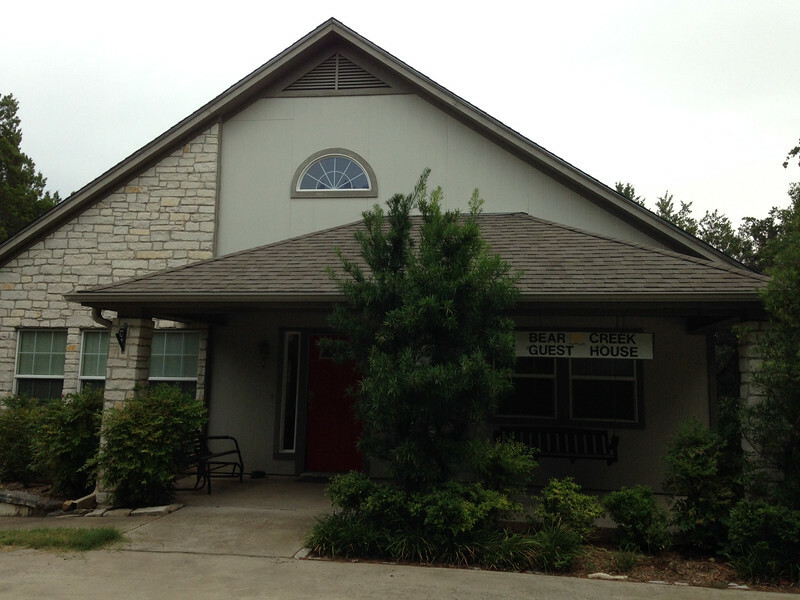 This was the soccer coach's house from one of the earliest episodes. This was the older couple yet newlywed's home, she was a distance runner and wanted to be near a park, and yep, there's a park nearby. They all looked awesome, but each one of them was in a truly rough looking part of town. I mean, possibly what was once a really nice area years ago but is now possibly The Hood. But they got their homes for great prices and the end results thanks to Chip and Joanna are amazing, but still...The Hood, yo'. 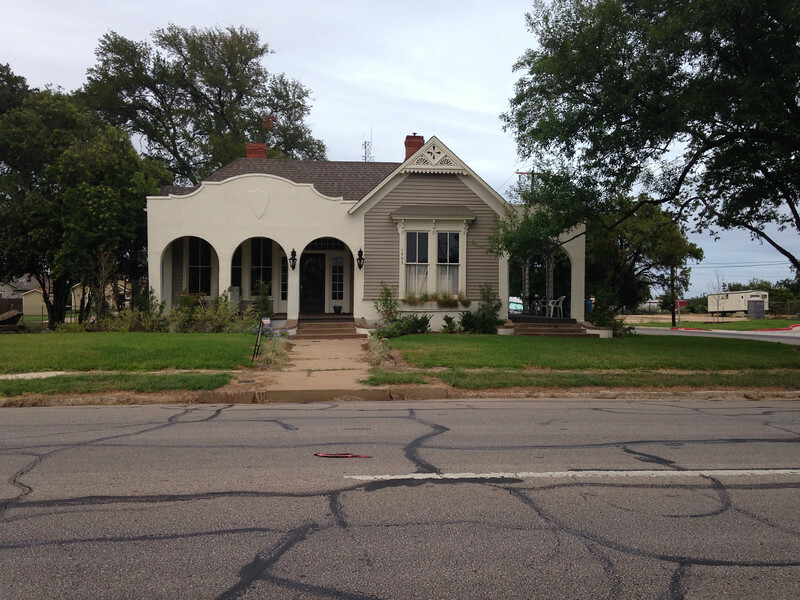 Sidenote: It seems like in Season One they did more renovating in older (run down) areas, hoping to revitalize and improve rougher neighborhoods in Waco, but in Season Two they're doing more homes in well, normal, regular established neighborhoods (not The Hood) and they're not saying they're "revitalizing Waco, one house at a time" catch phrase anymore. Just a random observation. We finished up our sightseeing with dinner (of course) and went back to the house to hang out. The next morning, after coffee and packing, we had our scarf exchange. We thought it would be fun to each buy a scarf and then have a swap, and in theory, it would. So...I may or may not have whined about not wanting to swap after all because I really, really liked my scarf (the one in the fancy Target bag, but still one step up from the Baris to-go bag, I'm just saying) and the others kind of said the same thing (hopefully they weren't just going along with my crazy and really liked the scarves they picked out) and so we ixnayed the swap. What? Am I an only child or something? 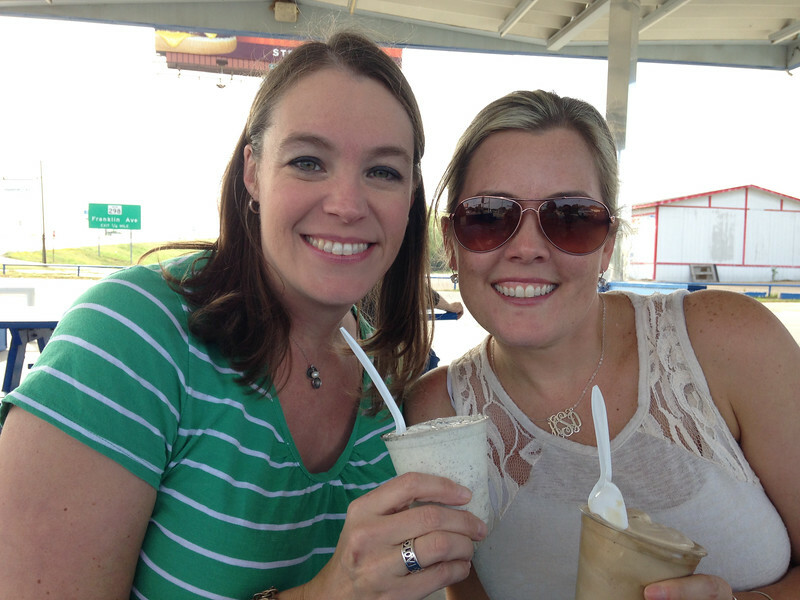 Before scooting out of Waco we stopped for lunch and then at Katie's for custard, because frozen custard, y'all! All too soon we were saying goodbye to Lacie as she headed back north and we headed back to Houston, insert sad emojis, and another Flamingo Weekend was in the books. I love it!! I am arriving ate to the Fixer Upper party, but I'm a big fan, too. I'm obsessed now. My friends are now so sick of me talking about the show, I'm sure! But it makes me miss Texas and my time at Baylor. 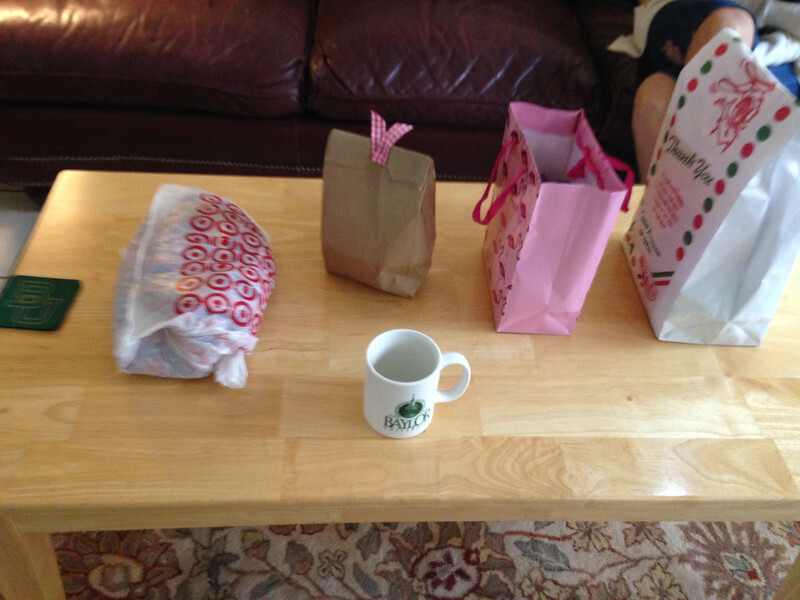 I love that you girls have these special weekends together. Looks like lots of fun! I stumbled across this blog post while I was looking up stuff on Joanna Gaines and I really enjoyed reading it. Also I am like %90 sure I am acquainted with your friend in the Striped sweater. She looks SO familiar! Is she possibly a Pastor's wife or something? 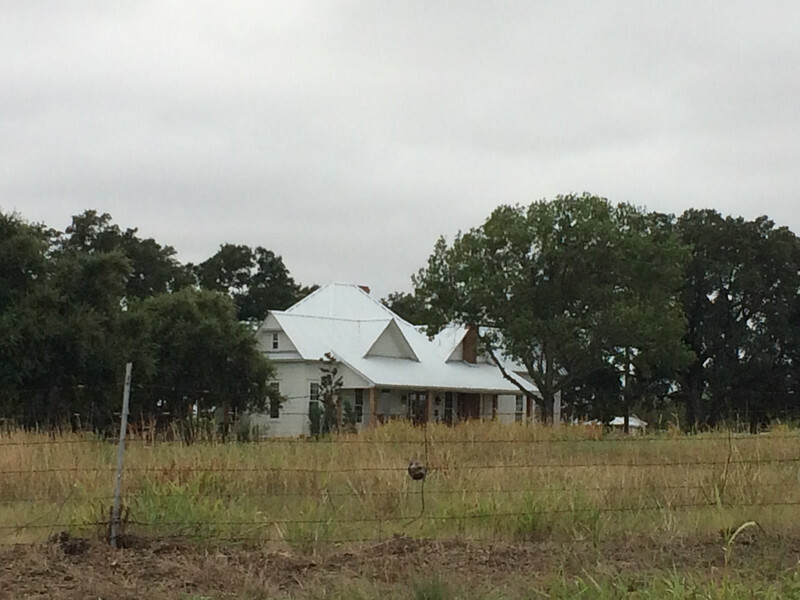 We've been driving around looking for the Gaines farmhouse in Crawford - how did you find it? Do you have an address by chance? Then it’s time to pull out all the stops. And get his blood pumping at just the thought of you. Insert subject line here and link it to: <=========> Your ex won’t be able to resist? And even begging to be with you. Here’s what I’m talking about: <=========> Is your man hiding something? He may need your help?